I always like to work any greens into our diet because they are just good for you and I happen to know these types of kootu are really delicious with any South Indian meals and also for rotis & parathas. 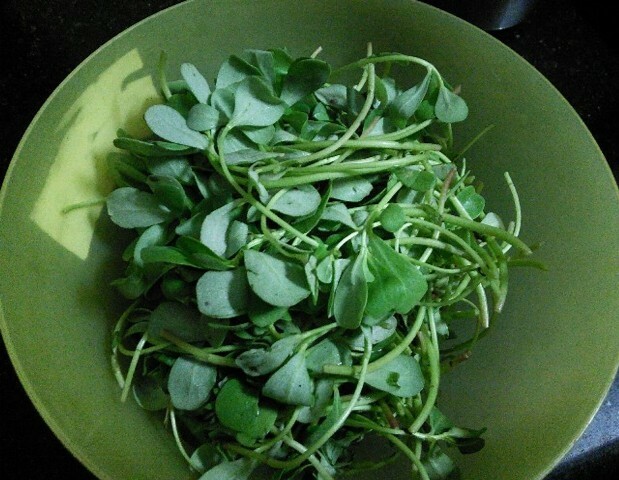 I like paruppu keerai greens very much because it's flavorful and quite healthy. I added some chopped tomatoes for taste and soaked moong dal for thickness and as usual, small onions coconut paste for the flavours. You can eat them as a side dish or you can mix it in a bowl of plain rice and eat it as a meal. I kept the ingredients pretty simple, but if you want to make it rich you could add some chopped garlics, green chillies or even some chopped big onions. 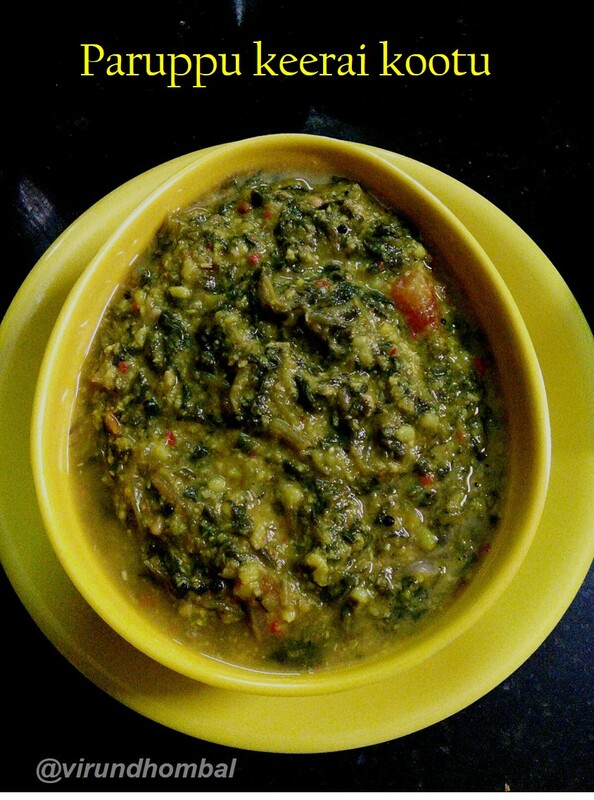 The amount of kootu that this recipe makes will vary a quite bit depending on the size of the keerai(greens) bunch. My kootu yielded about 2 cups, but you could even add another bunch if you want more. Always cook paruppu keerai in an open pan or vessel with a sprinkle of water because of its thin, soft leaves it loses its colour quickly. 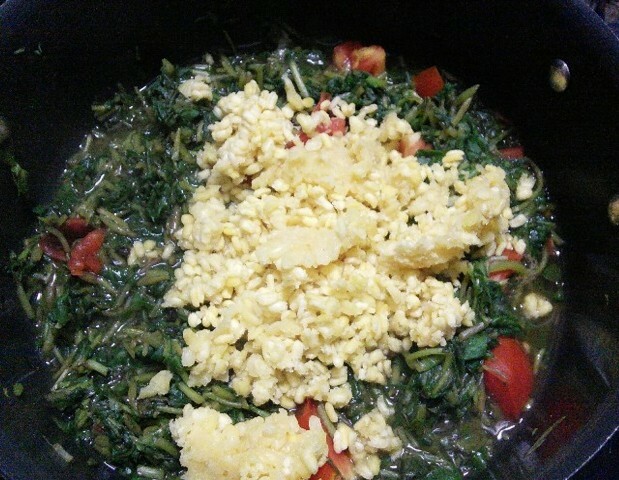 Do not pressure cook the greens or do not cook them covered with the lid. Chop the greens finely but don't want it so fine as it loses all of its volume. 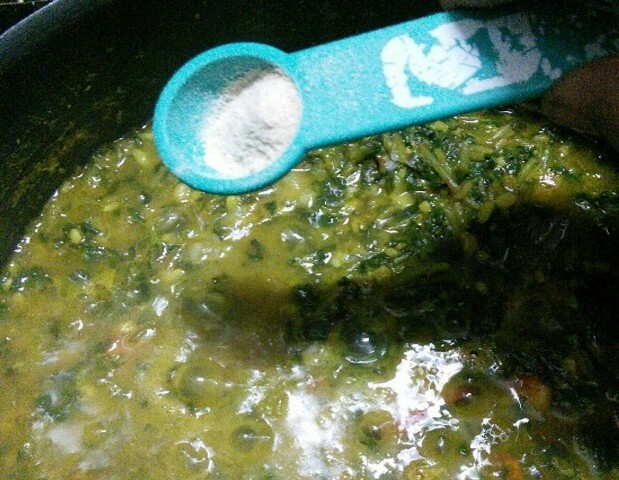 No need to add any spice powders for this kootu because the heat in the chilly powder diminishes the flavour in the greens. In most of the greens dishes the chilly powder or any spice powders kill the flavours in the fresh greens. Wash the greens just before using and pat dry them in a clean white cloth. Let's see how to prepare this kootu with step by step photos. 1. Remove the roots and wash the keerai nicely for 2 to 3 times in water. Allow them to dry for few minutes. 2. 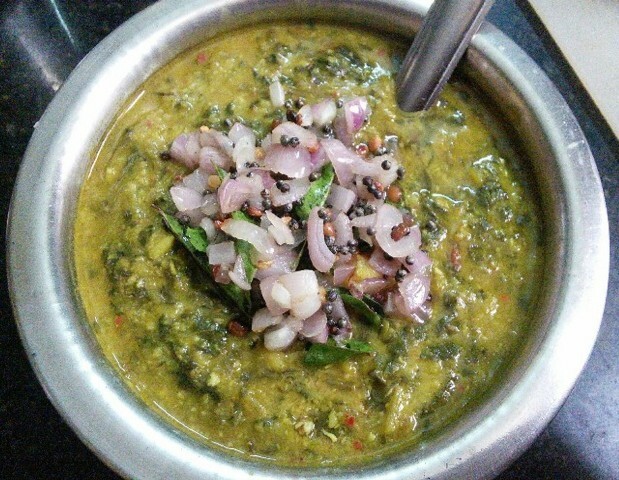 Soak moong dal for 30 mins and pressure cook them for 1 whistle. 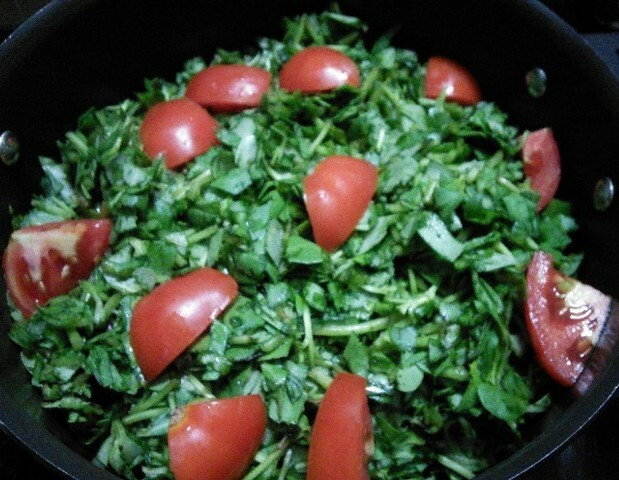 Take a wide vessel or pan and add the chopped keerai, chopped tomatoes and a splash of water. Cook them on low flame. 3. 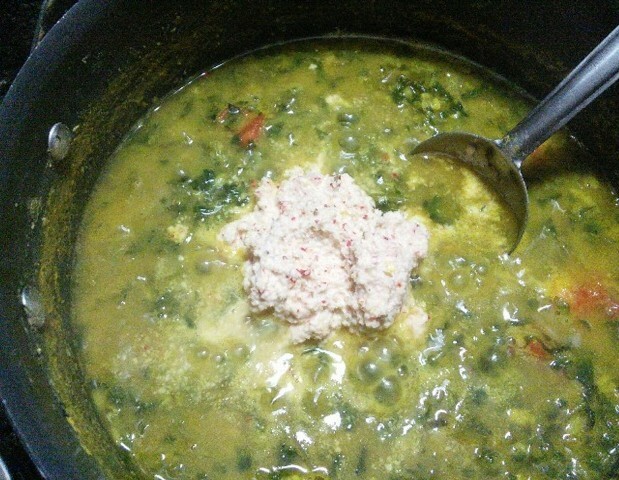 When the keerai is slightly cooked add the turmeric powder and the moong dal. Cook them till everything gets well cooked. 4. Grind the masala paste with little water and add it to the cooked keerai. 5. Cook them on low flame for 5 mins and finally add the asafoetida powder. 6. Heat a tsp of oil in a pan and add the mustard. When it splutters add the urid dal and small onions. Fry this for few seconds and add it to the kootu. If you try this recipe for Paruppu Keerai kootu send us your comments below and share the recipe for your friends and family.